A new predictive tool, which for the first time combines human perception of the environment with land-use planning and socioeconomic data, could help governments mitigate the impact of climate change in developing countries. Scientists at the University of York are working in Tanzania, East Africa, to help produce new data and strategies that can contribute to decisions around the use of land for farming and urban development, as well as more sustainable future ecosystem management systems. Tanzania has one of the fastest developing economies in Africa and a rapidly growing population, which is changing the environment considerably through large-scale agricultural expansion. The team, working with the World Wide Fund (WWF) Tanzania, UNEP World Conservation Monitoring Centre, and Sokoine University of Agriculture, recruited local people to participant in workshops to record their perspectives on how the land is changing and the impact it has had on the environment and the working practices of whole communities. These perspectives were combined with national-level data on land use, social, and climate data to develop maps for each region that were combined to provide a national perspective across a 'business as usual' and 'green economy' scenarios in the years running up to 2025. Dr Claudia Capitani, lead researcher at the University's Department of Environment, said: "Some predictive models only offer worst case, extreme, or quite unrealistic scenarios, but we know from experience that the future can sometimes be a place between best and worst case. "In this new method we are able to plot out, in a very visual way, a number of future projections that allows those working at local level to decide which is the most realistic picture given how well they know the environmental behaviour of the past. "At the same time, local people and authorities develop a sense of ownership of the process and build up the capacity of changing their future." By combining qualitative and quantitative data in this way, the team were able to produce maps of different areas that showed how the land could change under different future scenarios, such as how the land would look if the status quo was maintained, if deforestation increased, and the difference early positive inventions could make. Dr Robert Marchant, from the University's Department of Environment and co-author of the research, explains: "There are many predictive land-use change models out there, but we often find they are disconnected with grassroots perspectives and lack ownership. "It is vital that strategies for managing future impacts of climate and land use change can be readily available, incorporate local knowledge, and are understood by local people who work and live on the lands that are under potential threat. "Locally tailored solutions to future impacts are sometimes not captured in national policies and statistics, so a different approach is needed in order to combine these together and produce a more realistic picture of how the environment is changing in order to inform land use decisions, economic choices, and policy development." The team now aim to make these models even more localised by applying them to very specific landscapes. 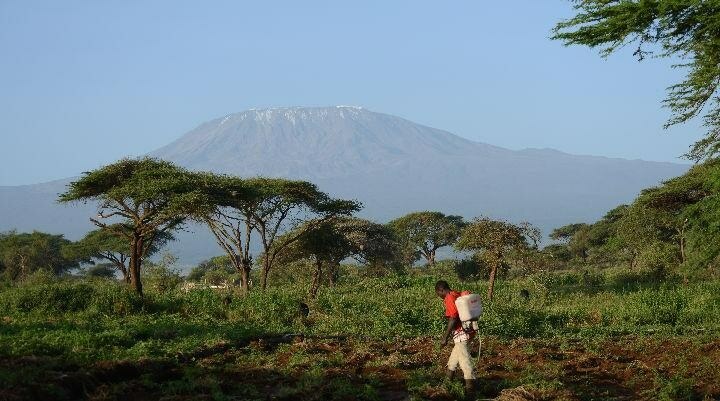 They are currently working on an application to Mount Kilimanjaro to inform more broadly the relationships between carbon, biodiversity, crop production, and water management issues in Tanzania. Maps from the scenario framework will be available through the newly established National Carbon Monitoring Centre and are hosted on the York Institute for Tropical Ecosystems website.